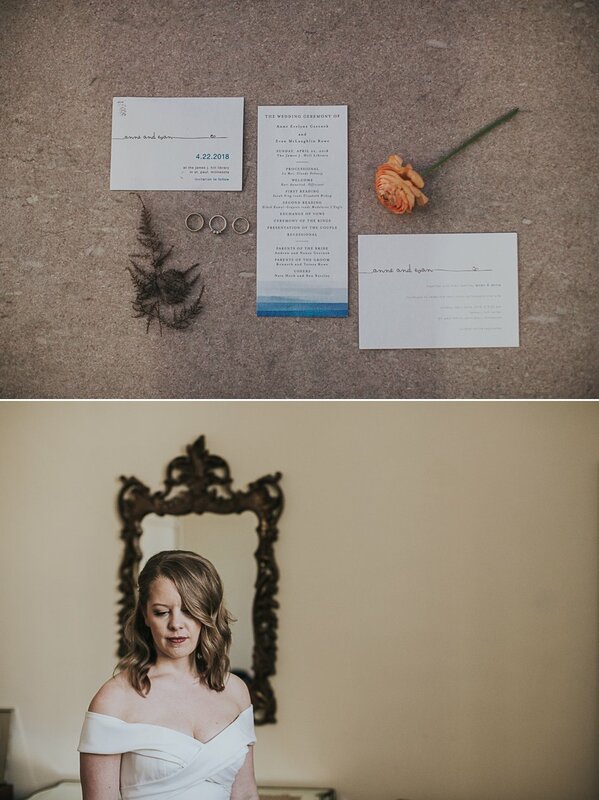 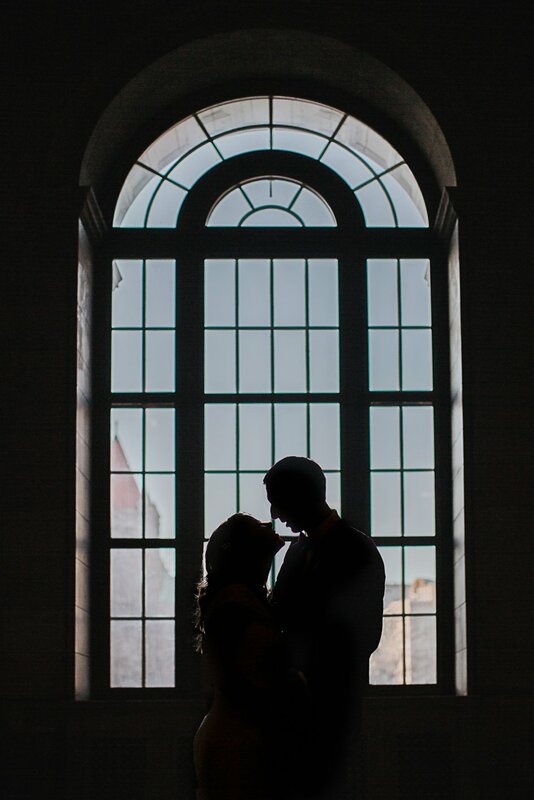 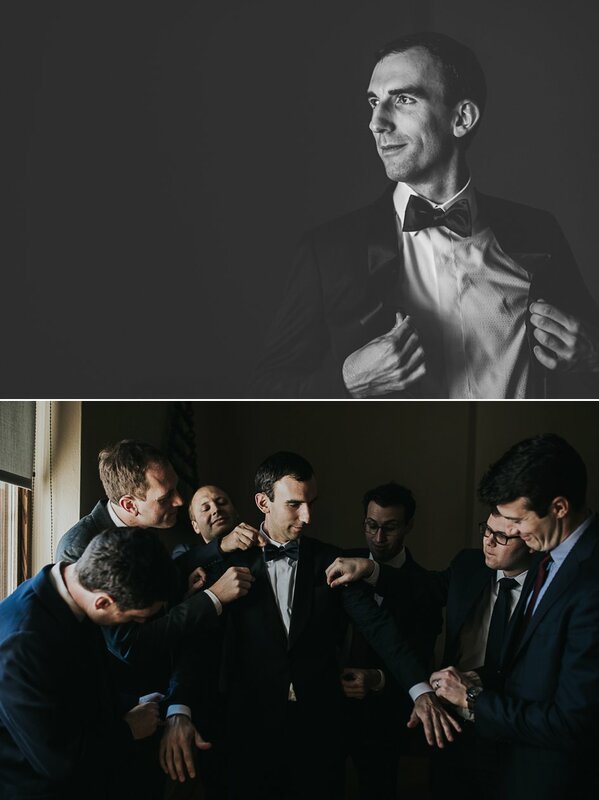 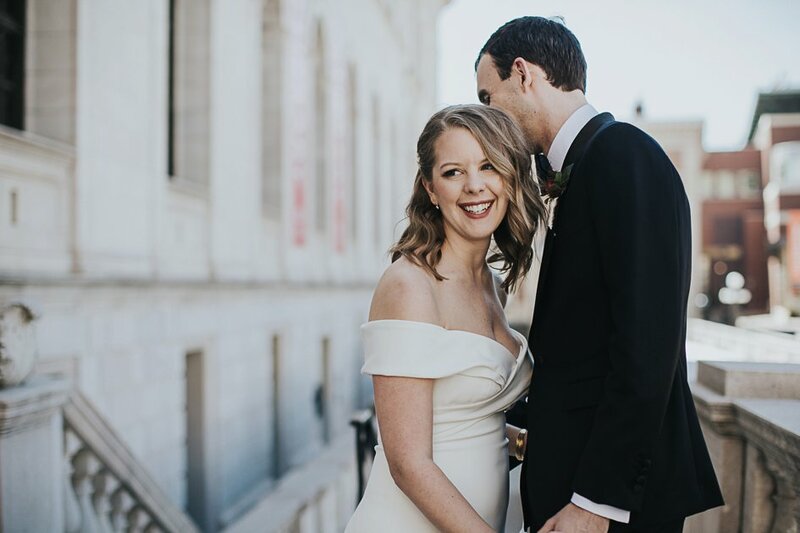 A late-season snow storm just a few days before their spring wedding didn't put a damper on Anne & Evan's day. 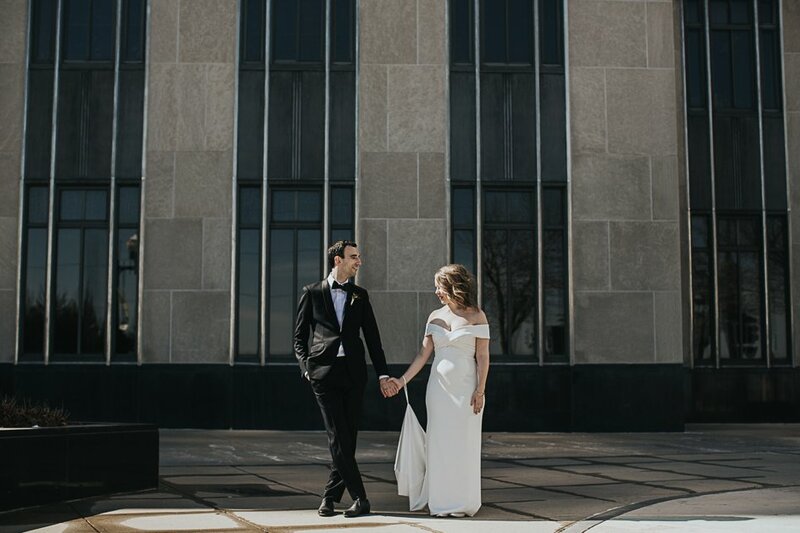 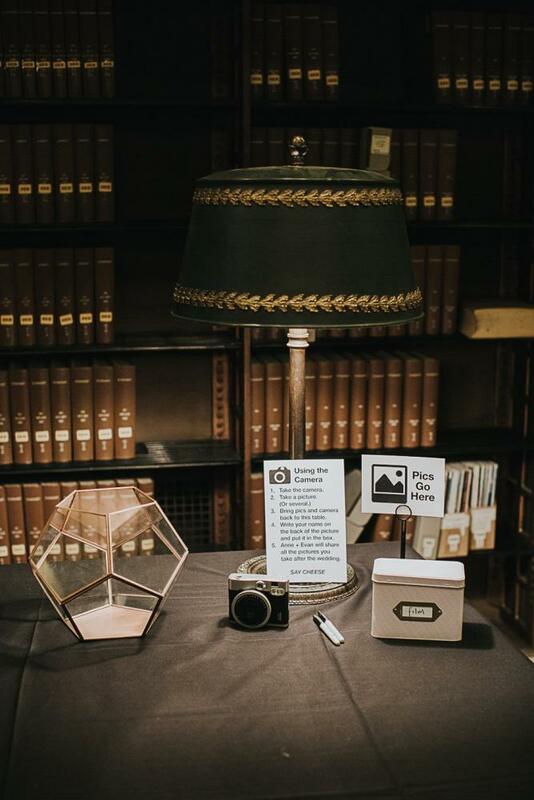 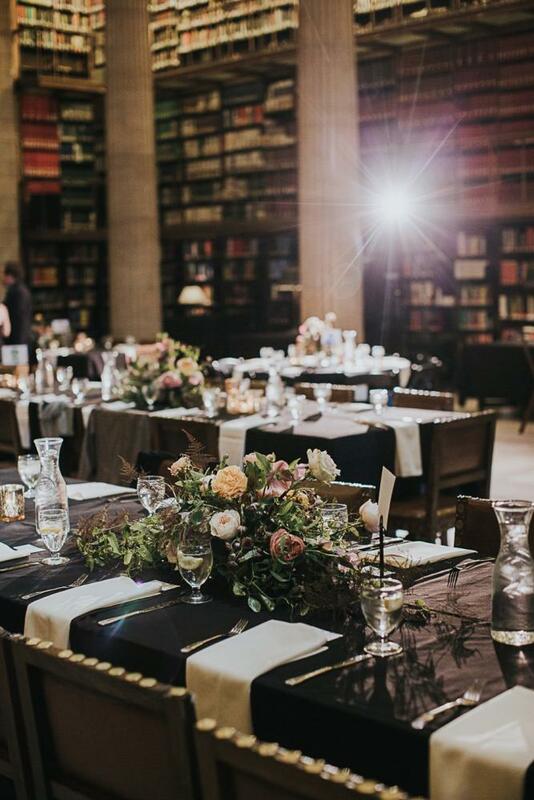 James J. Hill Library was the perfect setting for their celebration considering James J. Hill was the executive in charge of the railroad that connected St. Paul to Seattle, where the groom and bride are from, respectively. 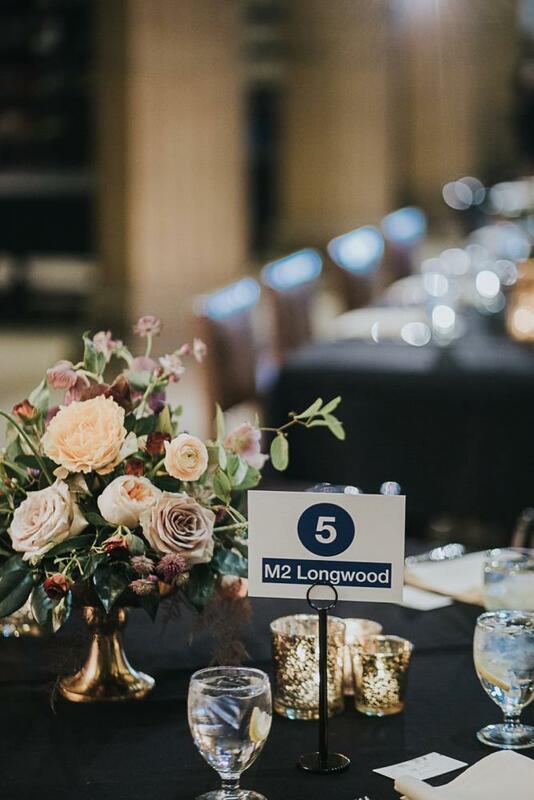 The couple named their tables after the Boston subway system where the groom works. 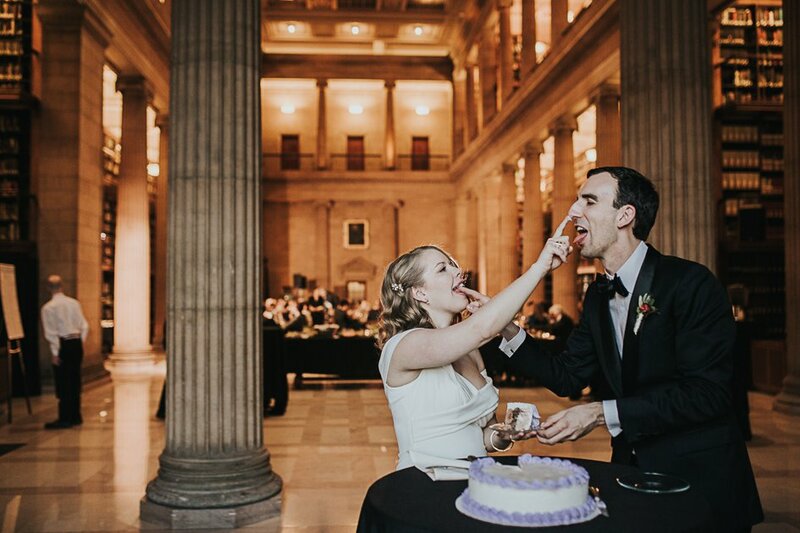 Not worried about keeping tradition, the couple chose not to have a wedding party and picked an ice cream cake for dessert. 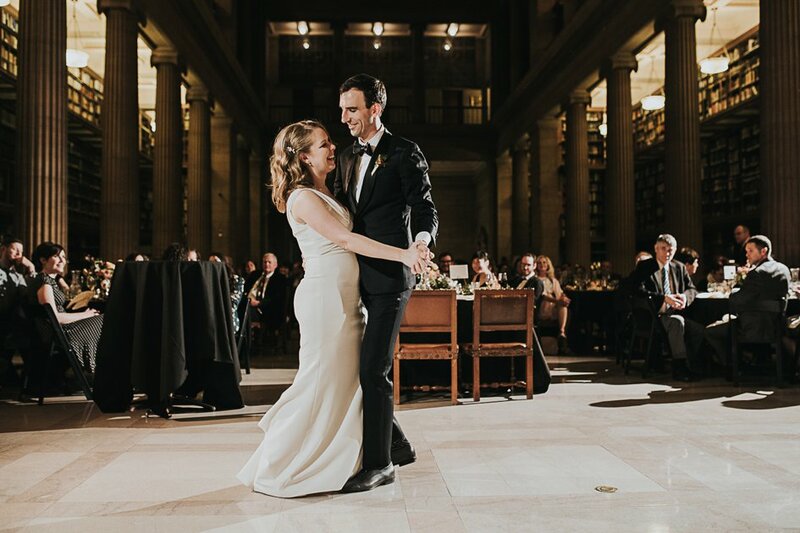 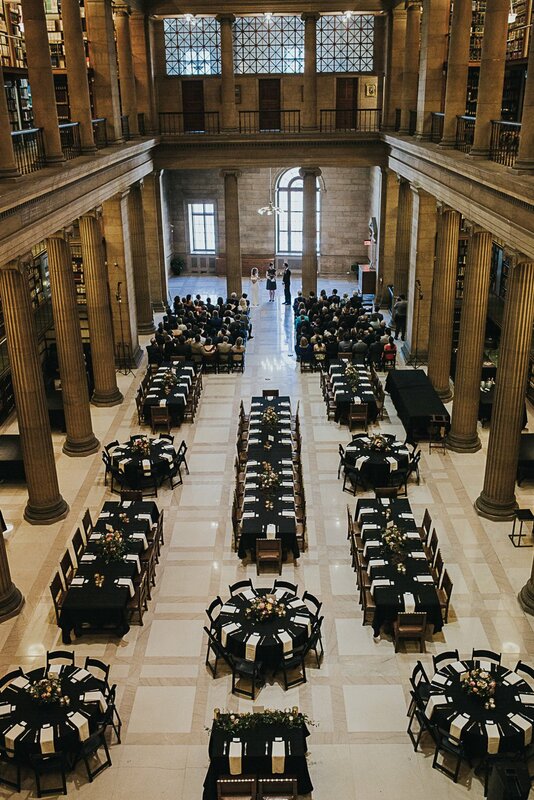 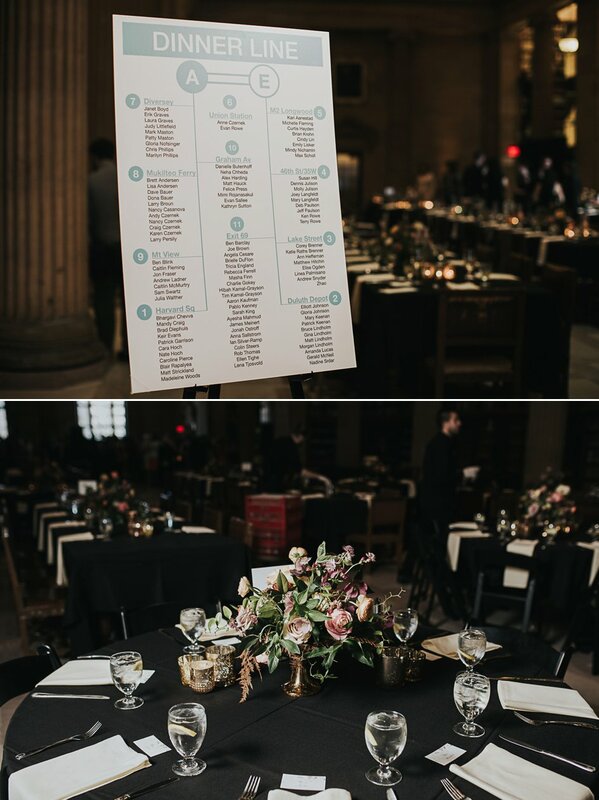 This modern, simple wedding was full of spirit as guests ate and danced among the library pillars, keeping warm on an unusually chilly day. 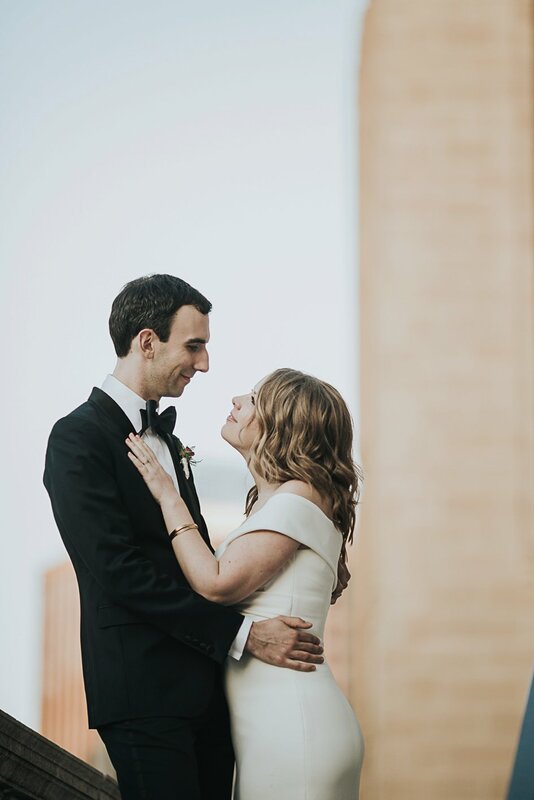 The couple wanted their guests to feel like they were at a warm family gathering, so they focused on communal elements such as a family-style pasta dinner, wine on every table, room to mingle with the farm animals and a rocking dance floor.